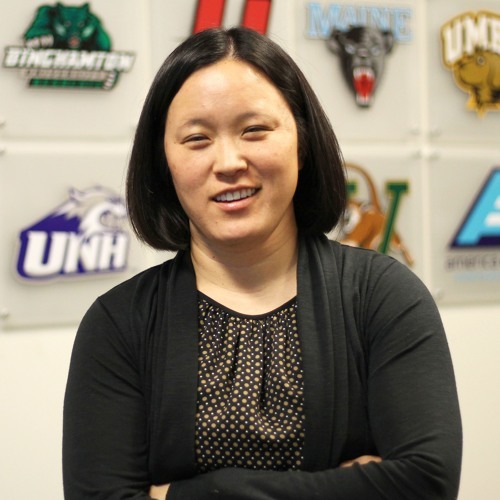 Amy Huchthausen has been commissioner of the America East Conference for eight years. She's the first woman to lead the league and is the only Asian-American woman to be the commissioner of a NCAA Division I athletic conference. Huchthausen joins us to talk about America East’s Spread Respect Initiative, which through athletics furthers awareness and education to ensure equality, respect and safety for all athletes and teaches understanding of identity in regards to race, ethnicity, gender, religion and more. She also discusses how athletic conferences look to empower student-athletes, and the different ways that collegiate athletics can lead diversity and inclusion initiatives on campus and beyond. Huchthausen also talks about the thrill of last year’s America East men’s basketball champion, UMBC, beating No. 1 Virginia as a 16-seed in the NCAA Tournament.